NEW YORK: Nick Charles has left his position as editor-in-chief and executive director of content at Kaplow Communications after six months to join start-up Shared Value Strategy. Charles left Kaplow in May. He joined the agency last November to take on the then-newly created position, in which he acted as the agency's editorial voice and provided content-related strategy and consultation to clients. He is now a partner at Shared Value Strategy, a brand planning start-up founded by former Porter Novelli EVP Joel Johnson. The firm also offers brand and media strategy and consulting. Kaplow has not yet replaced Charles, but it is considering changing the position as its content strategy evolves, said David Richeson, MD and chief digital officer at the agency. “It may not be the exact same position. We may bring in someone from traditional media, or it might be someone with more of a trans-media background,” he said. Prior to Kaplow, Charles was EVP and director of global content at Porter Novelli, where he led editorial content strategy for brands including Gillette, Merck, Capital One, McDonald's, and Timberland. 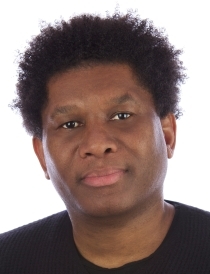 He has also worked as executive editor of green lifestyle website Ecomii.com, managing editor of Essence.com, VP of digital content at Black Entertainment Television Interactive (BETi), and editor-in-chief of AOL Black Voices.